Learn about our change model and how we put it into practice. In light of the pressing reality of global urban poverty, we have developed a change model that seeks to bring lasting, integral transformation to urban poor communities. Many organizations use a piecemeal approach to addressing poverty because they lack a clear definition of poverty. In our case, our change model is founded in five core beliefs about the nature of urban poverty. With a clear definition of the challenge and a theory of transformational change, we have developed the necessary interventions in five key focus areas to see this change take place. The core that drives our five focus areas is developing local leaders. This allows us to work towards sustainable, long-lasting, scalable transformation in each of the areas described below. URBAN POVERTY IS MULTI-DIMENSIONAL and so it's important to develop holistic solutions. Development driven by people is characterized by Learning that Empowers, providing improved access to life-enhancing education; a Healthy Habitat for All, emphasizing responsible stewardship of space, the environment and health of the community; and Wealth Creation at the lowest levels of society, creating opportunities to achieve economic self-sufficiency. URBAN POVERTY IS BASED IN HOPELESSNESS and a web of lies that entraps the poor in ongoing cycles of indignity. That's why planting and revitalizing faith communities provides a powerful context for holistic change, both through Jesus Communities, which become a center for change at all levels, and Mental Freedom, where people discover spiritual and psychological health and freedom from destructive patterns. URBAN POVERTY IS A BREAKDOWN OF RELATIONSHIPS so we engage in peace building which involves a transformation toward more manageable, peaceful relationships and governance structures. This long-term process involves addressing root causes and effects, reconciling differences, normalizing relations, and building up people and institutions that can manage conflict without resorting to violence. URBAN POVERTY EXISTS BECAUSE OF UNJUST SYSTEMS that don't work for the poor. Consequently, even with the best grass-roots, bottom-up development elements, there must be work done on the macro level, creating Systems that Work for the poor, namely in the economic, political and legal realms. URBAN POVERTY PERSISTS BECAUSE INTERVENTIONS REMAIN SMALL and aren't designed for reproducibility and scalability. True transformation, it follows, is achieved as holistic, people-driven development initiatives grow and are duplicated through Healthy Reproduction. Transformation doesn't happen overnight. Our change model unfolds in five phases and responds directly to five of the core beliefs about urban poverty using the interventions described below. 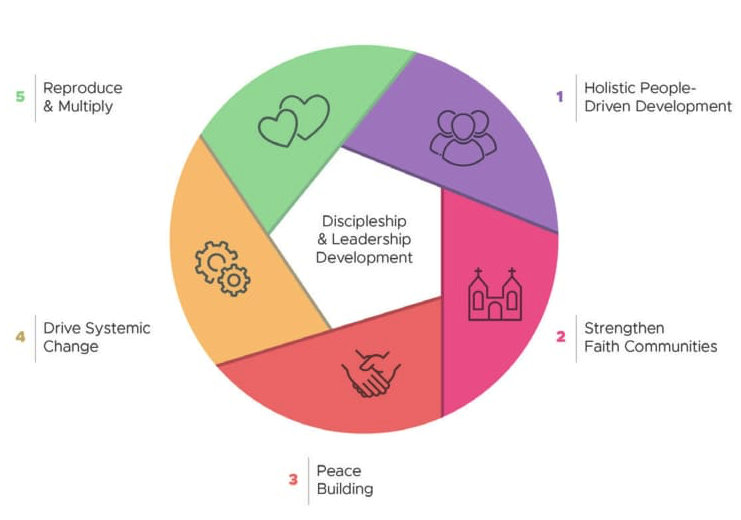 This reproducible model is adaptable to the assets and challenges of each unique community and is built upon our core value of developing local leaders. At any given time, we are at work in multiple communities which may be in different phases of this process. Check out our video that describes the full change model in action. 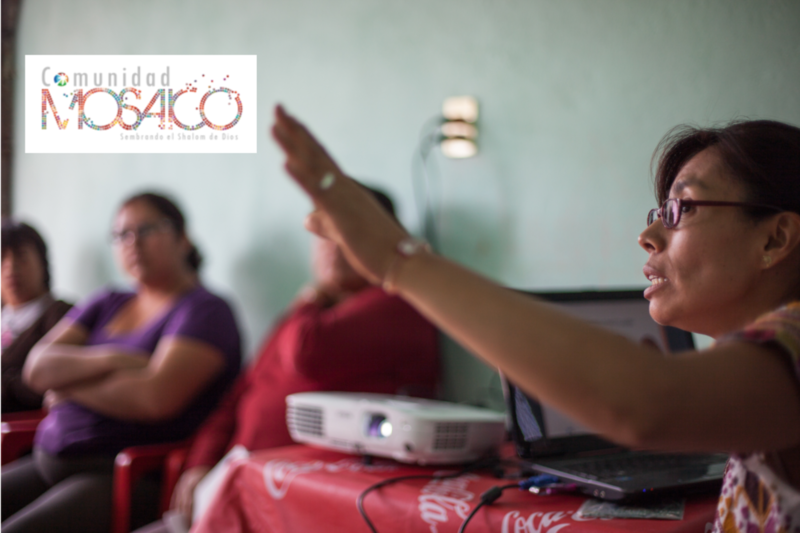 Before entering a new community, we conduct an assessment of community needs, assets, cultural context and risks. Over a one year period, we have conversations with hundreds of residents to determine whether there is sufficient local desire to see change. After a community has been selected, we begin our foundational work of identifying and equipping local leaders by building civil structures to lead community change. We look to develop leaders with spiritual vision, community-wide commitment and creative problem-solving skills. In partnership with local leaders, we establish citizen committees to identify community needs and co-create holistic solutions. These committees build social cohesion and allow for the creation and strengthening of local faith communities. As local committees build trust and momentum with short term projects, we unite community-minded leaders into action-oriented coalitions that can envision and carry out long-range, community-wide solutions. In the final phase, the local leaders developed in phases 1-4 will train others and replicate this model in new communities. 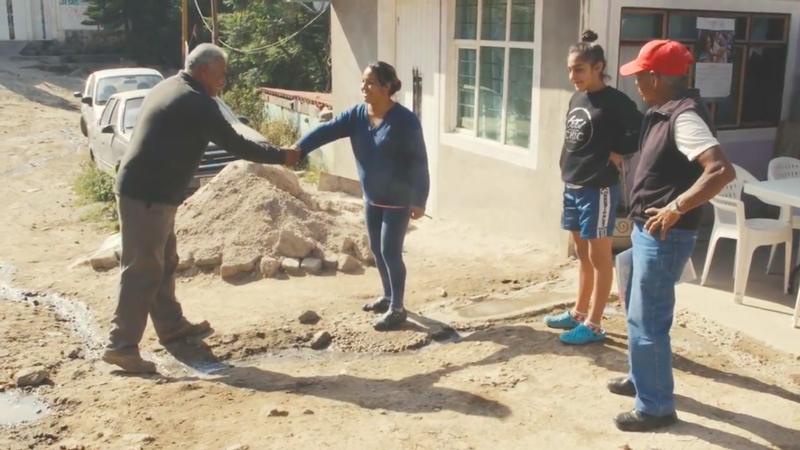 In order to see true transformation take place, our holistic method employs a variety of initiatives aimed at addressing the roots of urban poverty. When working in concert, these initiatives catalyze the beginnings of long term community transformation. 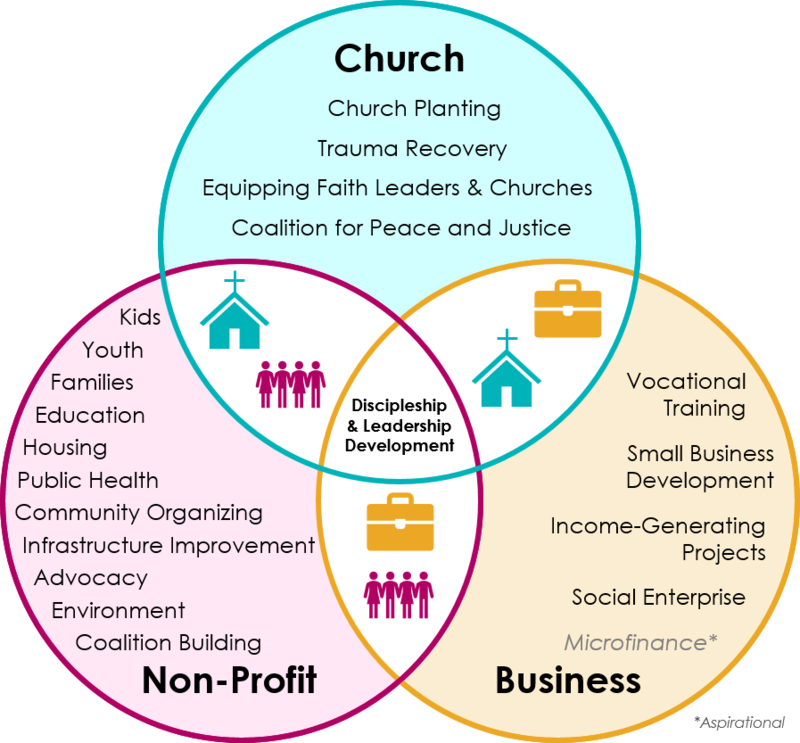 Combining the best practices of churches, businesses and nonprofits, we adapt our change model to the needs and interests of each community in which we work. 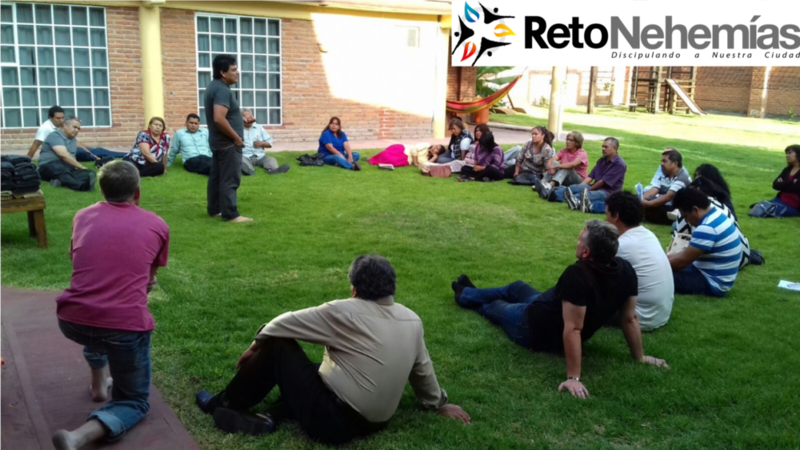 Below, read more about our specific projects and how they work toward the integral transformation of urban poor communities. 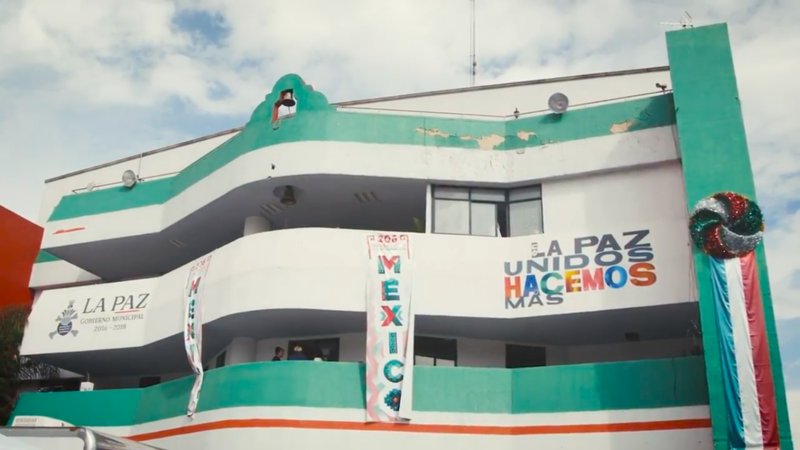 Project Fortaleza exists to encourage, create and consolidate a holistic social movement, capable of designing and implementing high-impact community projects, advocate and effect changes on a public policy level, appropriate spaces for civic engagement, promote good governance and the democratic exercise of citizen rights, affirm human rights, establish transparency structures, and hold people in public office accountable, in order to promote the development of healthy and holistically transformed communities. 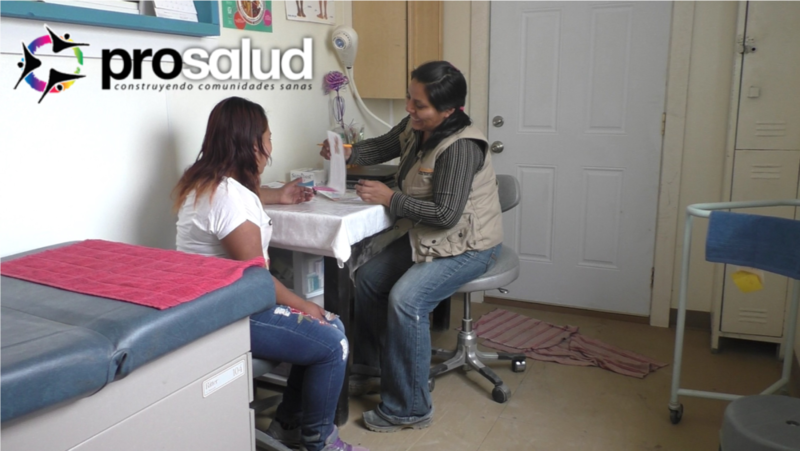 Project ProSalud exists to create a holistic community health model that will help thousands of families to develop healthy lifestyles - physically, emotionally, sexually, environmentally, and spiritually, with the goal of then reproducing this model in other social contexts. 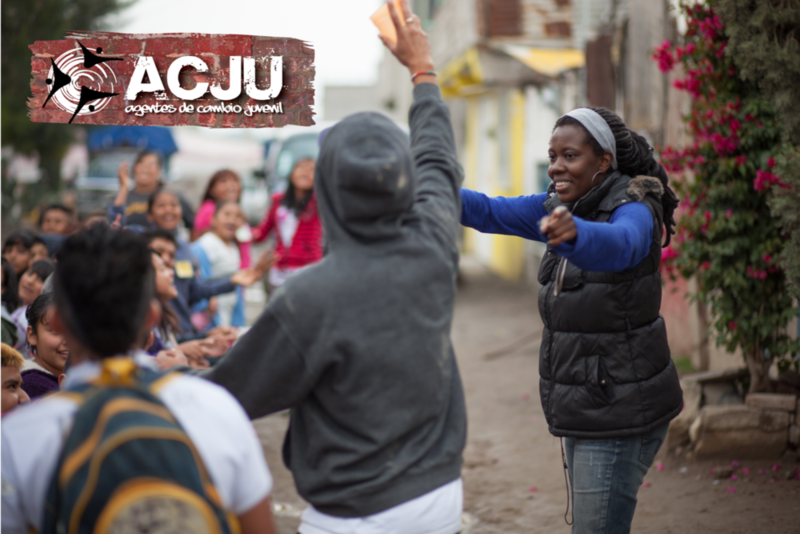 “Agentes de Cambio Juvenil” (Youth as Agents of Change) exists to address the challenge countless youth are facing. The initiative is working towards establishing a reproducing youth movement of many youth clubs that empower and equip youth to become leaders and change agents in their families and communities. ProNiñez was created as a response to this need, as a way to provide children and their families with a support network. The project exists to help children appropriate life-giving values and a vision for life, while working alongside their families to provide them with needed emotional support. Comunidad Mosaic exists to promote the growth of a holistic church planting movement, where reproducing house churches steeped in a Kingdom- of-God theology practically impact individuals and communities in such a way that God’s presence and power become manifest on personal, familial, communal, environmental and systemic levels. Project Nehemiah Challenge seeks equip and offer churches support, training and technical assistance in the following areas: theological training; servant and apostolic leadership development; emotional health; holistic church planting; community organizing and project development; and networking and coalition building for advocacy purposes. 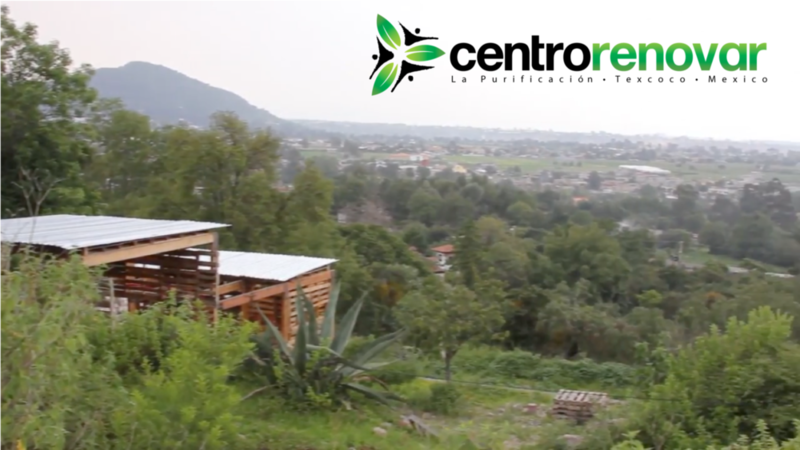 Centro Renovar is a holistic retreat and training center being built on the periphery of Mexico City with the goal of reducing burn-out and attrition rates for local urban poor pastors, community leaders, ministry workers, and missionaries; providing space to host capacity building workshops, retreats and seminars for local churches and organizations; and providing lodging for short term mission teams and educational tourists.